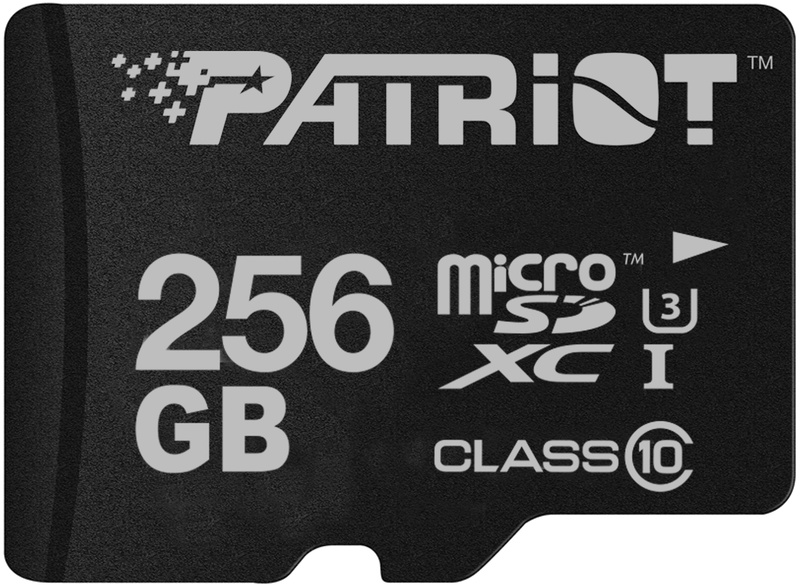 Patriot has announced its new high-capacity microSDXC card that can store 256 GB of data. The cards not only feature leading-edge capacity, but also support up to 80 MB/s write speed, which is believed to be enough for shooting videos in UHD resolutions. The new Patriot LX microSDXC card with 256 GB capacity is based on 3D NAND memory, uses the UHS bus and is qualified for sequential read speeds of up to 90 MB/s and sequential write speeds of up to 80 MB/s. The card carries Class 10 and U3 labels (meaning that its performance does not drop below 30 MB/s), but for some reasons is not certified for any V ratings despite the fact that Patriot positions it for shooting 4K UHD and FHD videos. 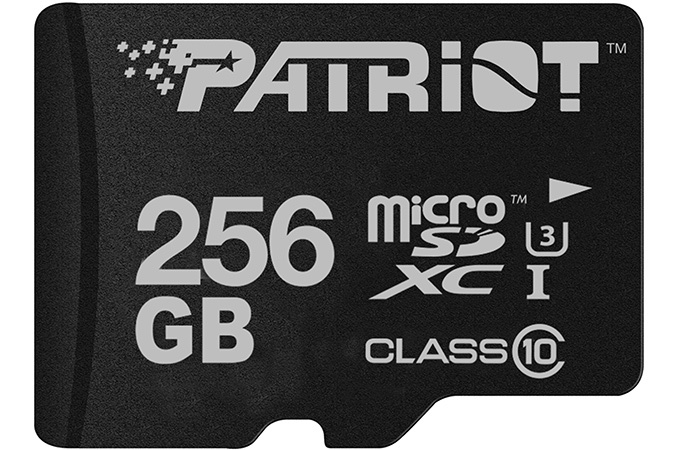 Patriot is among the first independent suppliers of memory cards to introduce a 256 GB microSDXC memory card. Samsung and SanDisk announced their microSDXC products with 256 GB capacity in mid-2016, but both companies produce their own NAND flash and have access to leading-edge chips. Patriot does not say what kind of memory it uses for its LX-series 256 GB cards, but if the company can buy such NAND ICs, other makers will be able to do the same as well. Therefore, expect more 256 GB microSDXC cards to hit the market shortly. Patriot’s LX microSDXC cards are backed by a two-year warranty and will be available shortly for $199.99 in the U.S.